This girl in red, got it right. She looks lovely and classy. As for the others...well they look like thy are having a good time, I will leave it at that. I think many women have lost the art of dressing for a special occasion nowadays. Next time you go to a nice restaurant or the theatre, have a look round and see how many of the women (and men) just dress casually. I think outfits like this look classy, and if it's an evening do I love the third pic, I have an outfit similar, not all my dresses look like curtains. 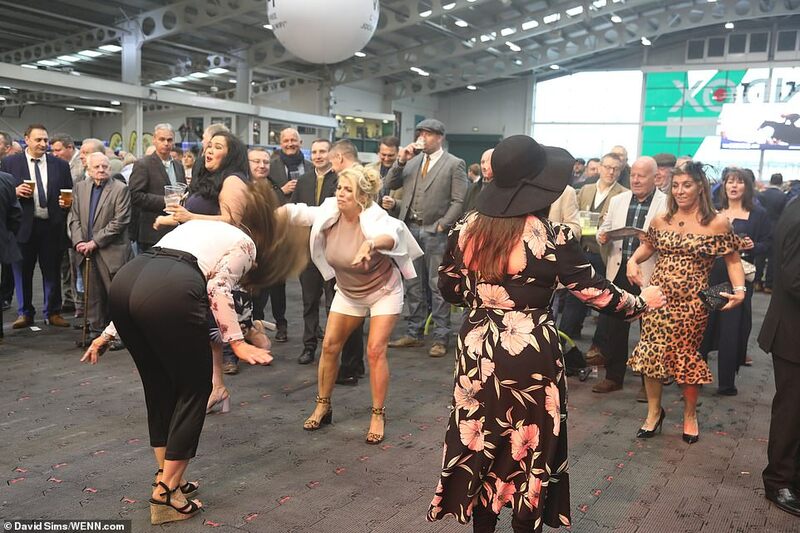 Naively, perhaps, I always thought that Aintree was about horses and who could make them go fastest, and not about which bimbo could come up with the most bizarre way of displaying her cellulite.